From micro-needles to unique film-forming products, in recent years the pharmaceutical industry has made fascinating advancements in topical drug delivery. Arguably, one of the key driving forces of these advancements is the growing understanding of excipients’ critical role in drug delivery and their influence on topical drug product performance. Nice Insight had the opportunity to speak with Norman Richardson, the Global Development and Technical Marketing Manager and Amy Ethier, a Formulation Scientist, for BASF Pharma Solutions, to learn more about trends in topical formulations and recent advancements. Norman and Amy will be presenting at CPhI North America in May 2017, and Nice Insight was excited to get a sneak preview of the what they will be presenting. Nice Insight: Could you offer a quick overview of the advantages and challenges of topical drug delivery? Ethier: In recent years, the industry has become much more aware of the advantages of topical drug delivery. The result is a growing emphasis on the development of pharmaceutical technologies and active ingredients that can be delivered through the skin. The benefits of topicals are quite broad, but can be summarized by three primary advantages: (1) the ability to deliver a range of active ingredient chemistries with sometimes complex formulations, (2) ease of application, enabling a prescribed or OTC treatment to be administered at home, and (3) the ability to deliver localized treatment or avoid first pass metabolism for systemically delivered active ingredients. When evaluating the challenges of topical drug delivery, it might be useful to consider a topical pharmaceutical product you currently use. First, the product must be delivered from the primary package to the skin in an acceptable way, and in the right form or consistency so that it can be easily handled with appealing sensory properties. Once on the skin surface, the API needs to be able to penetrate through the complex microstructural barrier of the stratum corneum, or remain on the surface, as indicated by the condition. This can be controlled by appropriate formulation design, but it can be a complex aspect of topical dosage forms. Additionally, after the product has passed through the stratum corneum and is present in the living layers of the epidermis, it is important that the components not be irritating or trigger an inflammatory response. These challenges are addressed through proper excipient selection and formulation design. NI: How would you characterize the advancements in topical drug delivery in recent years? Richardson: The greatest growth we see is the development of generics from pharma companies of all sizes and from contract product development organizations. This is contributing significantly to topical product volume growth in the market. BASF Pharma Solutions is enabling the development of these technologies through integrated excipient functionality. Additionally, BASF Pharma Solutions is leading the concept of microstructure as a means of increasing understanding of topical formulations at the microscopic level and its resulting influence on product performance. The ability to deliver drugs in a sustained fashion and maintain active levels over prolonged periods of time, without frequent oral applications. NI: Do you see growth on the horizon for topical drugs? Richardson: Yes, absolutely. Although topical dosage forms occupy a significantly smaller share of the market than oral dosage forms, they are growing, as evidenced by the changing pharmaceutical development landscape. Based on a variety of different measures we expect to see average growth of 5-10 percent over the next 10 years. NI: What innovations do you believe are on the horizon for topical drug delivery that will help to drive this growth? Ethier: There are many exciting opportunities for innovation in topical drug delivery. Micro-needles and other skin delivery devices are developing technologies that have significant potential to reshape the way drugs are delivered because of their ability to overcome the challenges of penetrating the stratum corneum. Other topical formulations will continue to push the limits of active ingredient solubility and sustained drug release through the development of complex system structures, including liposomes and solid lipid nanoparticles. NI: Dermatological illnesses are not often fatal and may be considered lower priority by regulators. Is this a true statement? Ethier: Dermatological illnesses are, in fact, a priority for many pharmaceutical formulators. The skin is the largest organ of the human body; it is also the most visible. As such, dermatological illnesses can have a significant impact on patient quality of life. In a study published in the Archives of Dermatology by Shanu Kohli Kurd, MD and colleagues, it was found that psoriasis patients have a 44 percent increased risk of suicidality. When evaluating the impact that skin conditions can have on the population, it becomes evident that the effect of these conditions extends beyond the skin. It is this body of knowledge that makes dermatological illnesses a priority for both regulators and pharmaceutical formulators. NI: Do you see topical drugs elevating in priority among regulators? Richardson: Over the course of the last 5-10 years approving authorities in both the US and Europe have been paying more attention to quality-by-design (QbD) aspects of topical product development and effective approaches for bioequivalence testing. That being said, QbD has been of great importance to almost all dosage forms. However, a specific area of growing interest in topical semi-solid product development is the impact of semi-solid product microstructure on critical quality attributes. It is well recognized that the list of ingredients in a formulation (Q1) and the amount of each ingredient (Q2) is important in the performance of the cream, lotion, or ointment that is applied to the skin. Within semi-solid dosage forms, however, the ingredients often organize into phases, complex structures, crystals with multiple possible shapes and polymorphic states, solid and dissolved states for both excipients and APIs, etc. (Q3). So regulators and formulators are increasingly interested in understanding the “state of matter” in the topical semisolid dosage form. The belief is that the “state of matter” drives the functionality, effectiveness, and performance attributes of the final product. One important focus of current topical development research is to characterize the states of matter and correlate them with critical quality attributes. Better understanding the role of excipients in this arena has been a big area of emphasis at BASF Pharma Solutions. NI: What are some of the interesting advantages and/or advancements among the various classifications of topical drugs? Ointments: As with emulsions, ointments are commonly used dosage forms, tunable in nature, occlusive, and suitable for water-sensitive APIs. Solid sticks and balms: Often the simplest of formulations, solid sticks and balms can be formulated with just two ingredients. Gels: A go-to formulation for delivering pleasing sensory properties via a light, oil-free formulation. Foams: This approach can deliver active ingredients to compromised or large surfaces of the skin. Foams may be formulated to achieve rapid rub-in, even distribution, and other attributes pleasing to the senses. Film forming topicals: There is growing interest in film-forming topicals for their ability to protect the skin upon application and moderate API delivery. Sprays: Sprays are another simple formulation that can deliver an active ingredient to a large surface area of skin that may be compromised or difficult to reach. Patches: Patches are recognized for their ability to deliver active ingredients, such as hormones, over an extended period of time. These devices are robust in nature and can be applied to areas of the body. NI: Do excipients really play a discrete critical role in the effective development of topical drugs? Ethier: In many cases, excipients are just as important as the active ingredient, as they are essentially the delivery vehicle. The most effective excipient for a given purpose is selected by considering the formulation framework and required functionality. Additionally, as I previously mentioned, the performance properties of a topical heterogeneous formulation are determined in part by the selected excipient(s) and API(s) (Q1), and the amount of each excipient and API (Q2). The Q1, Q2, and formulation processing result in a complex system of microstructures, phases, and liquid and crystalline states (Q3) that influence the final product performance. Topical drug formulators must select excipients that aid in achieving (1) formulation mildness, (2) ease of application and increased patient compliance, and (3) delivery of the active ingredient to the targeted location. 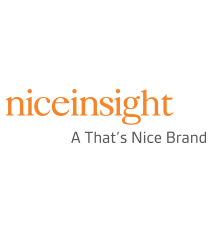 NI: Thanks so much for sharing with the Nice Insight community. We are looking forward to learning more during your Formulation Trends for Topical Dosage Forms presentation at CPhI North America, May 16-18, 2017, in Philadelphia, Pennsylvania.